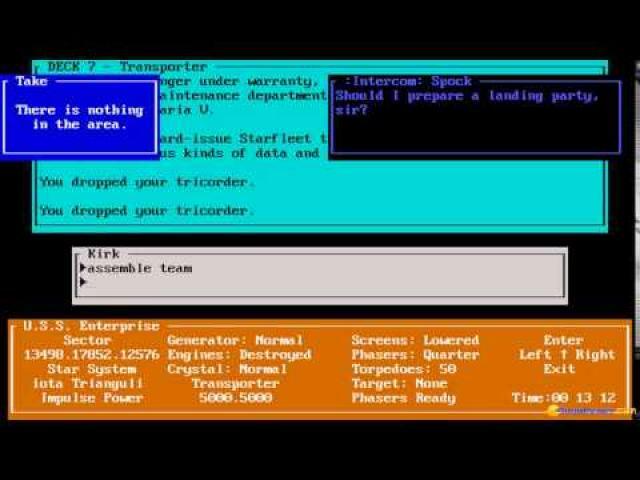 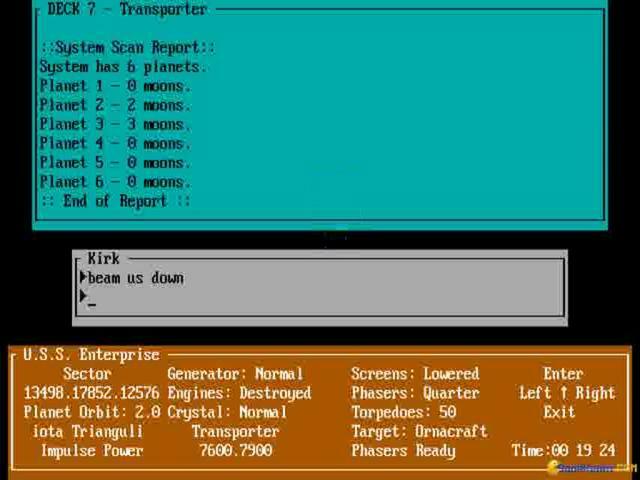 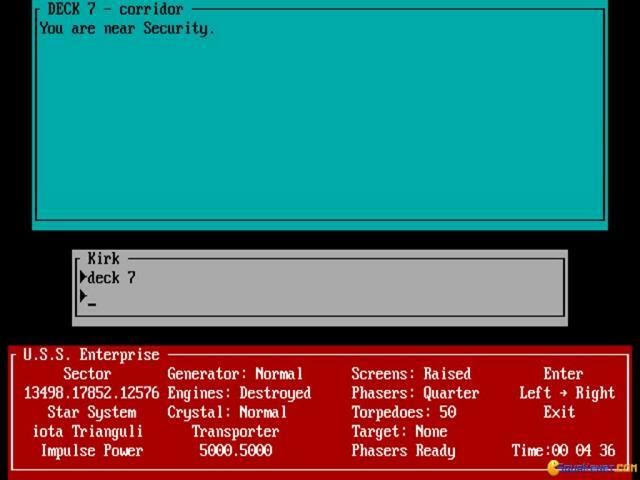 Star Trek - The Kobayashi Alternative is a text based adventure that is a little more original than most other such games. 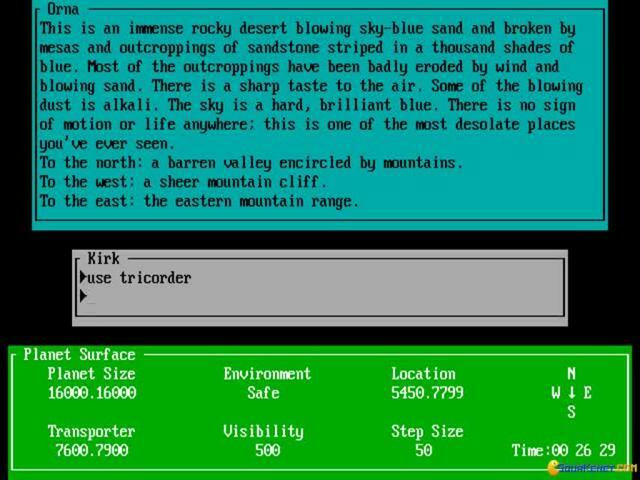 While it doesn't supplement the game with graphics or with the (relatively usual towards the late 80s) maps for the worlds you're exploring, nevertheless, it gives you separate screens (with which you also interact via text based commands) that stand for your screening and medical tools. 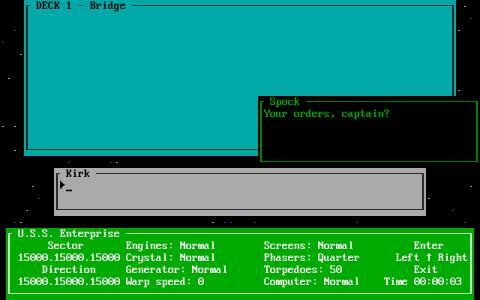 Yap, the tricorder is thus simulated pretty neatly and a few other tools as well. 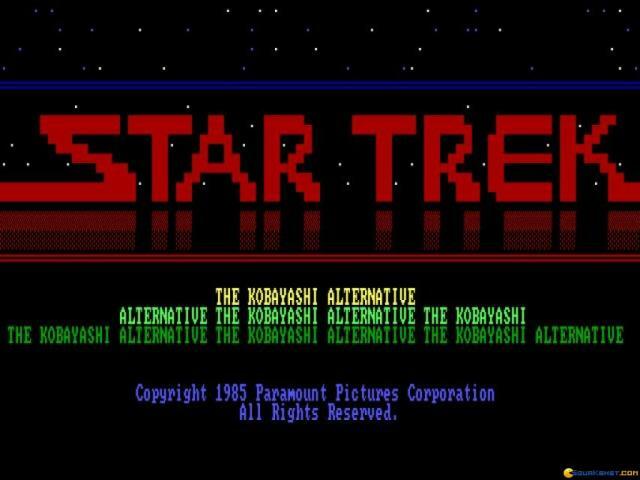 The story is as neat as you'd want it, seeing you as the one who will direct Kirk and the crew through a series of missions that retell the Kobayashi storyline of the movie of the same title. 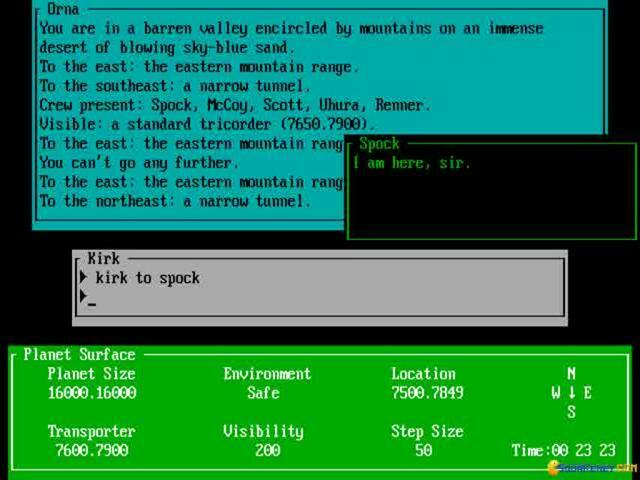 So take the time and see that movie, so that you'll be more easily drawn into this game, so you'll be more at home with the plot. 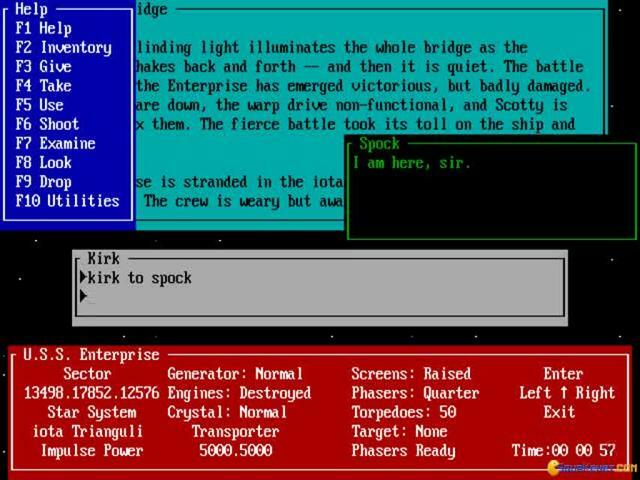 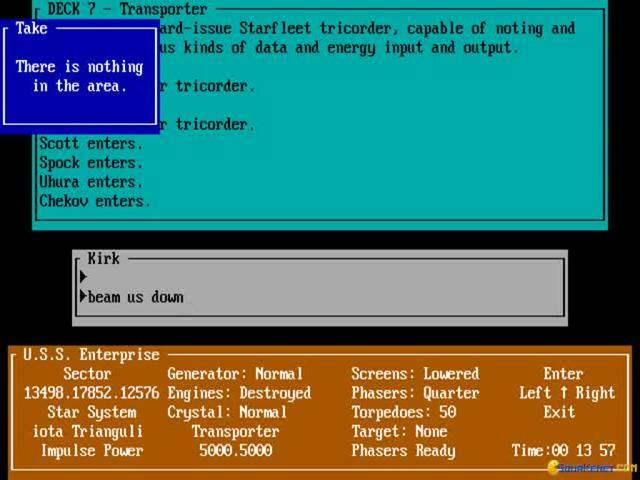 A good alternative to this game, with similar ways of showcasing the text based adventure is Star Trek First Contact, which is also a retelling of the movie of the same name, and also a game that makes use of separate windows for certain interactions.